I finally found the peeerfect swiss roll recipe where the cake layer is not too hard and it rolls easily without cracking up too much! I adapted the recipe off the Joy of Baking website. There is even a video that shows you a step-by-step approach on how to re-create the recipe in your own kitchen. Although the website termed it Chocolate Sponge Cake, it is actually a chocolate mousse recipe that doesn't require flour or butter. 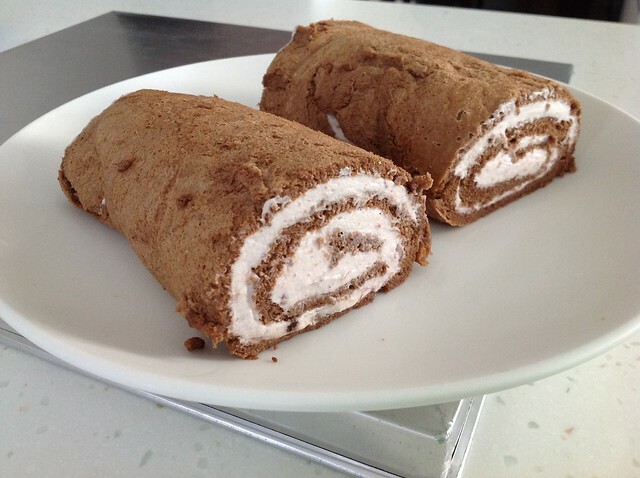 The chocolate mousse layer is then assembled like a swiss roll with raspberry flavoured whipped cream.